What is it that makes Marc Desgrandchamps’ painting so magnetic? There’s nothing surprising there at first glance: inspired by a scene, a film or a photo, Desgrandschamps (born in 1960) creates compositions that are simple, never spectacular. 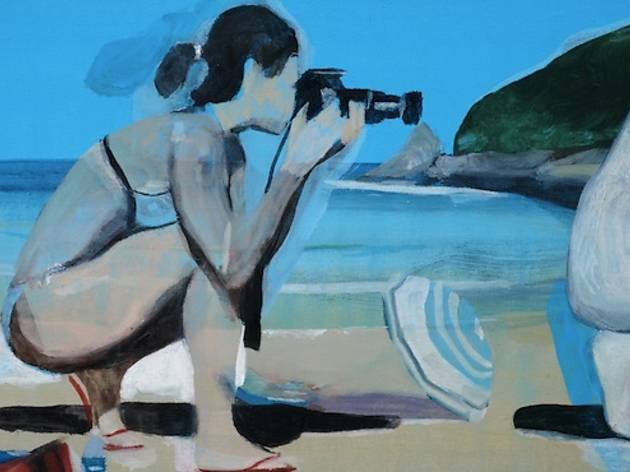 Bare landscapes, daily scenes, a few bathers beneath a Mediterranean sky with their tanned skins, beach towels and cameras. But something doesn’t quite fit. Is it the perspective that gives the sense of intimacy? The bright, gentle light that gives the images their timelessness? 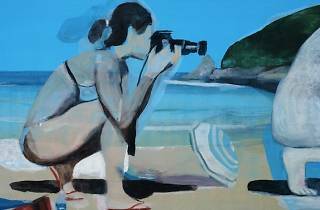 The colours and transparency that give the compositions an impenetrable charm? It’s impossible to define, but definitely not to be missed.